The emphasis on patient experience has not only improved patient care but it is also improving the health of healthcare organizations. The past few years has seen an emphasis by hospitals on patient experience. There has been a concerted effort to improve patient satisfaction. And it appears to be working. According to a report from Press Ganey, patient satisfaction has been improving since 2003 with 85% of those surveyed in 2008 reported they were satisfied with the care they received. 1. 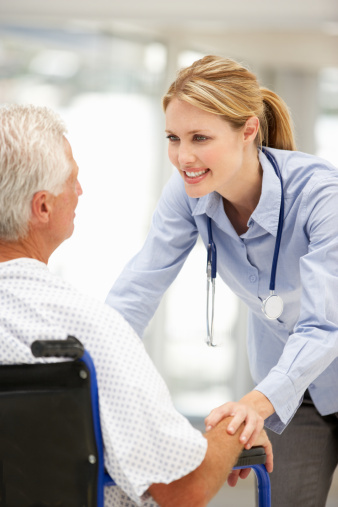 There is a direct correlation between highly satisfied caregivers and satisfied patients. And that in return helps in recruitment and retention of doctors and staff. 2. Hospitals that deliver superior customer satisfaction are more likely to be recommended by patients thus increasing their market share, and this of course contributes to the hospital’s bottom line. 3. Staff buy-in to improved patient satisfaction leads to a more positive work environment, which contributes to better patient care. 4. Satisfied customers are less likely to file malpractice lawsuits. 1. Response to concerns and complaints during the patient’s stay. 3. Staff effort to include the patient in decisions about his or her treatment. 4. How well the nurses kept the patient informed. 5. How promptly staff responded to the call button. The survey also noted that service recovery was a key component to patient satisfaction. One of the key factors is how the hospital responds when things go wrong or when a patient’s needs are not met. We have known it all along in every other business category. Now we are beginning to realize that it’s also true for healthcare. It’s just common sense. It IS all about the customer…patient!